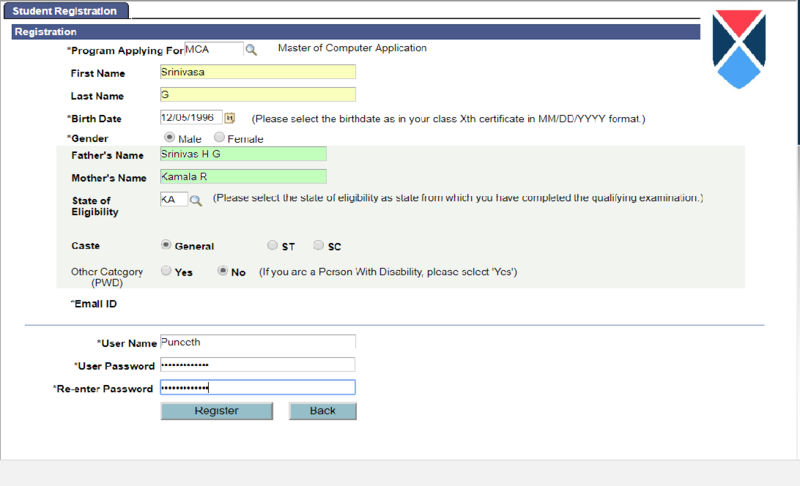 Fill the form Online: The filing of form for BIT MCA begins from 3rd April 2019, and eligible candidates can log on to the official website of BIT MCA 2019 and click on “Apply Online”. 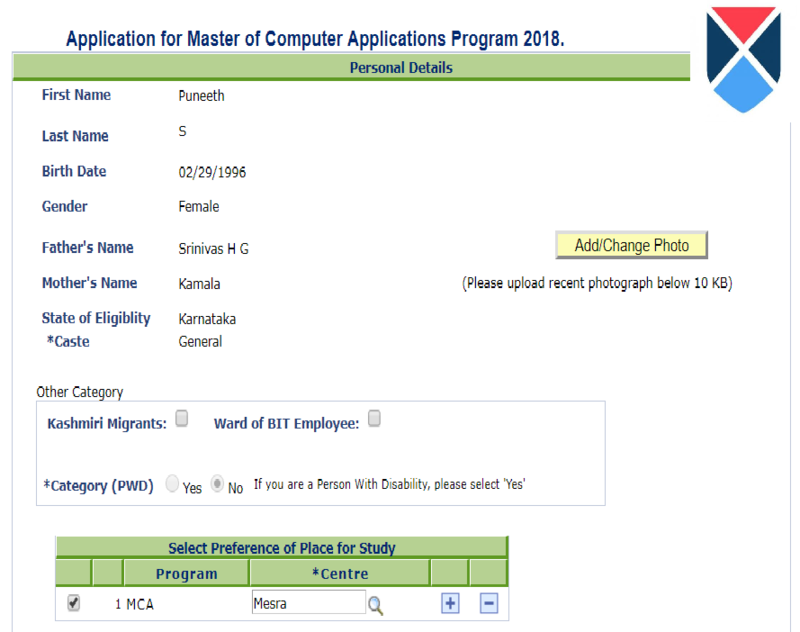 Application Date: The process of applying for BIT MCA 2019 will begin from 3rd April 2019 to 3rd May 2019. Official Website: Visit the official website of BIT MCA. Click: Click on "Apply Online" which will redirect you to the application page. 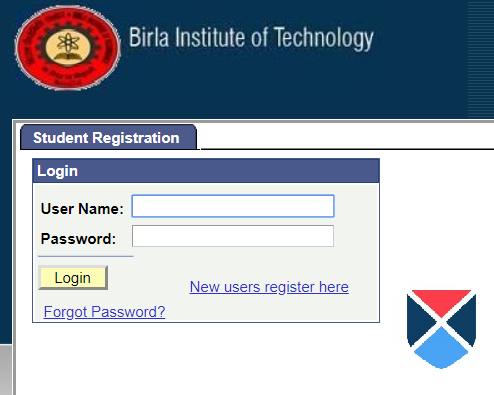 Log In: login page will be displayed in which you can enter your credentials if already a member else can click on new registration. Register: By clicking on the new registration the candidates will have to enter basic details to get registered. 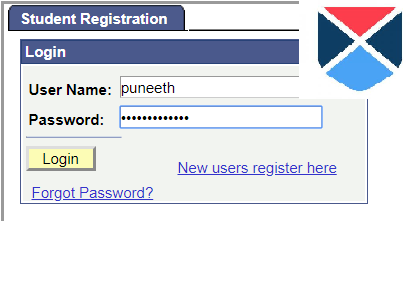 Login: After registering the candidate's can login using the credentials. Details: The candidates can start filling the application with details and by uploading your recent photograph and a photograph of your signature. 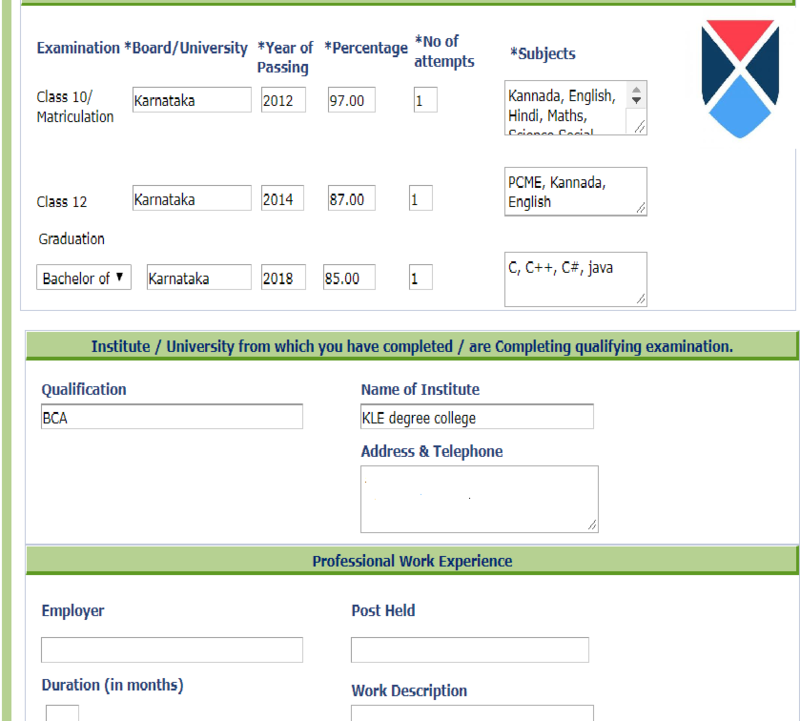 Qualification Details: The candidate must enter his qualification details such as 10+2, graduation etc. 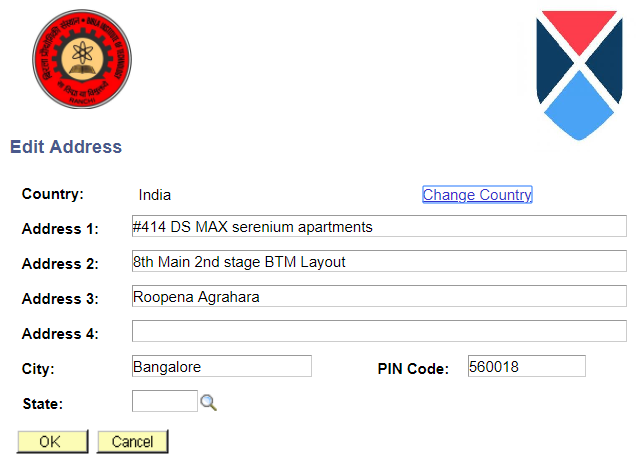 Contact Information: The candidates can now fill in their contact details in the application form. Application Generation: Once after filling the application the application form will be generated. 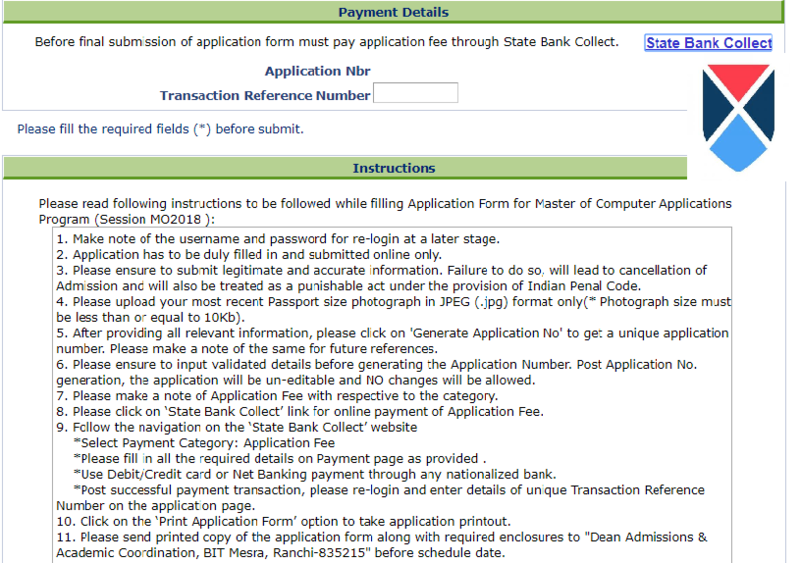 Payment: After the Generation, an application number will be sent to the mail id candidates can enter the application number for payment process. Print: Once the payment is done take a print out of the acknowledge page for further use. Mode: Choose your mode of payment with Debit Card/ Credit Card and Net Banking. Credit Card: Fill the card details and Personal Identification Number during the payment of application fees. Debit Card: Fill the card number and CVV when opting for the debit card to pay the application fees online for BIT MCA 2019 exam. Net Banking: Fill the login ID and One-time Password while doing net banking and Click on ‘Pay Now’ and note the transaction number and take multiple copies of the confirmation page. Offline payment via Challan: The fees can be paid online or through a bank challan. 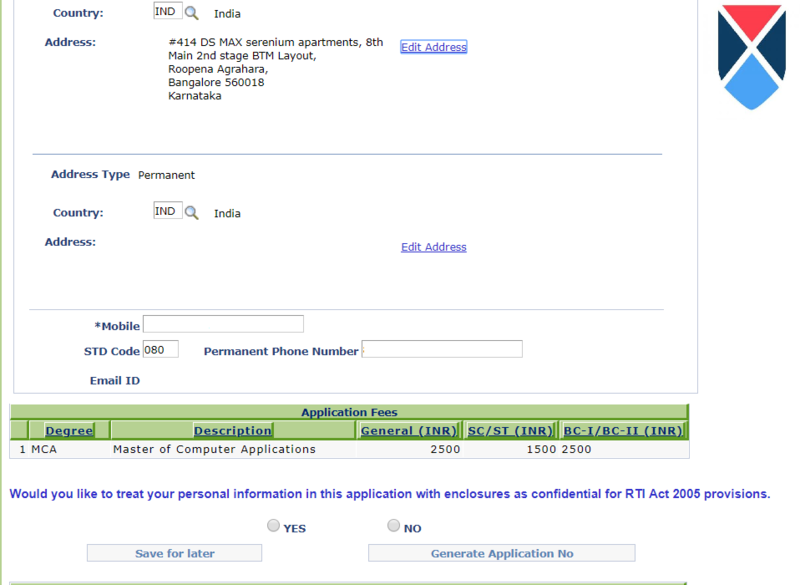 The fees for general category and OBC category is INR 2500/- and for SC/ST it is INR 1500/-. Read and submit: Please read the declaration before you click the submit button. Note: The candidates should keep in mind that if they won't do the payment of the application fee, then their apllication form will not be completed. Their candidature will be considered completed when they will pay the application fee.